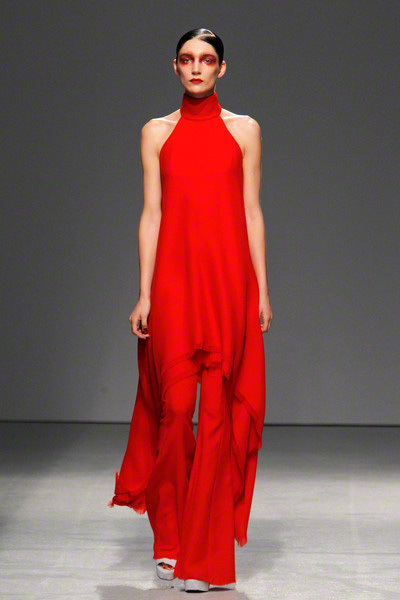 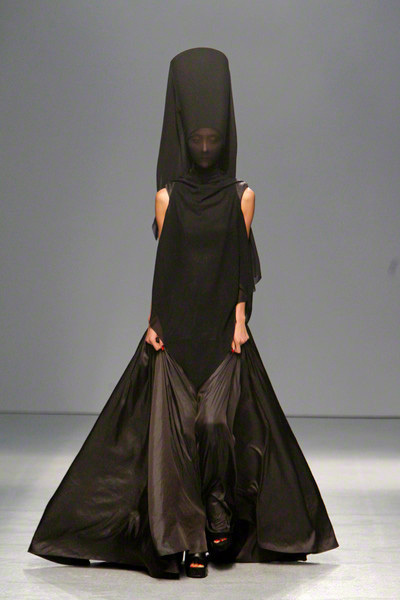 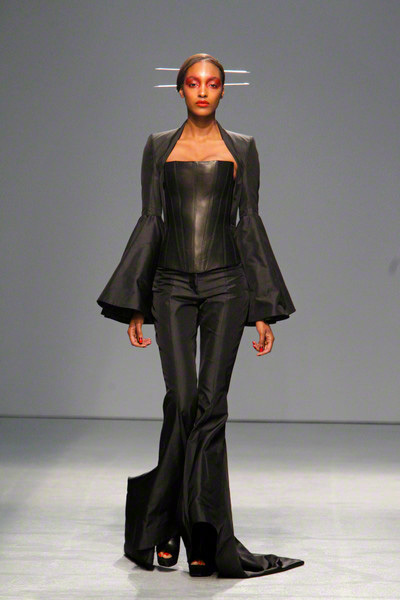 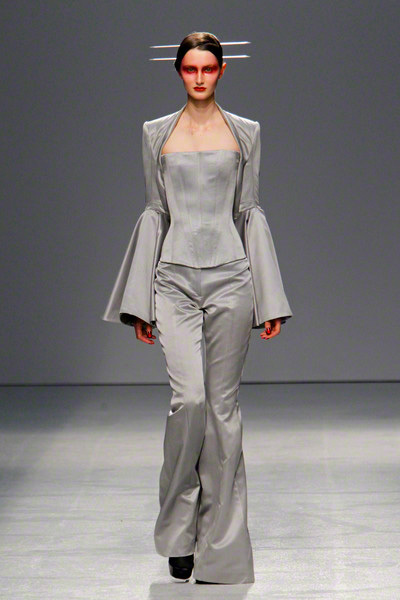 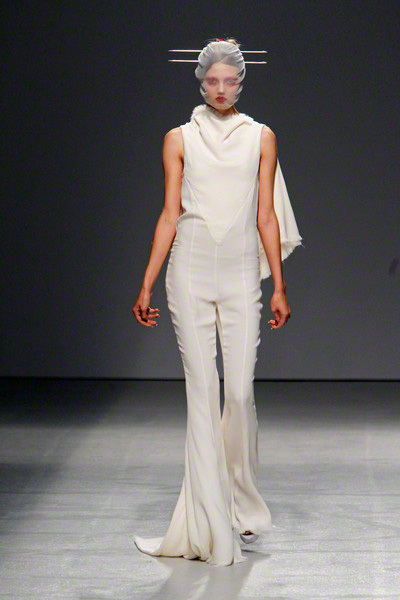 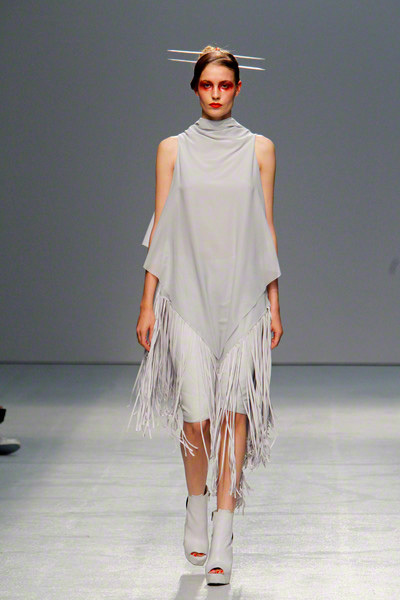 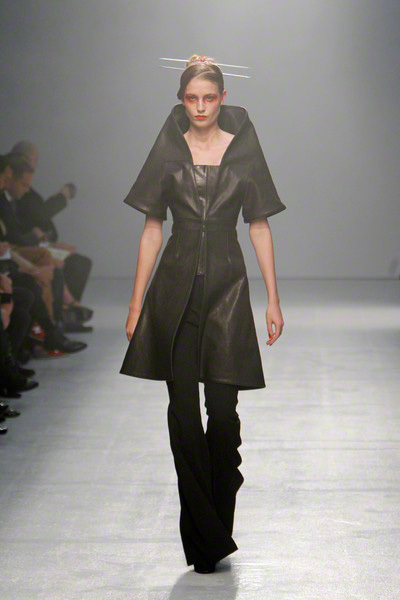 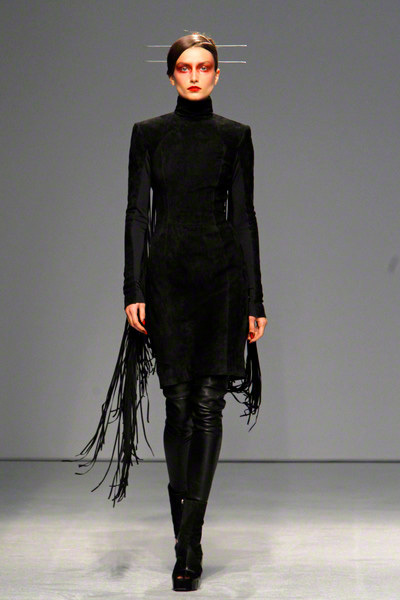 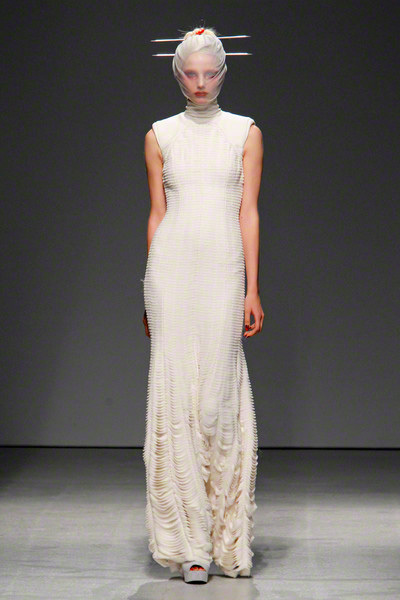 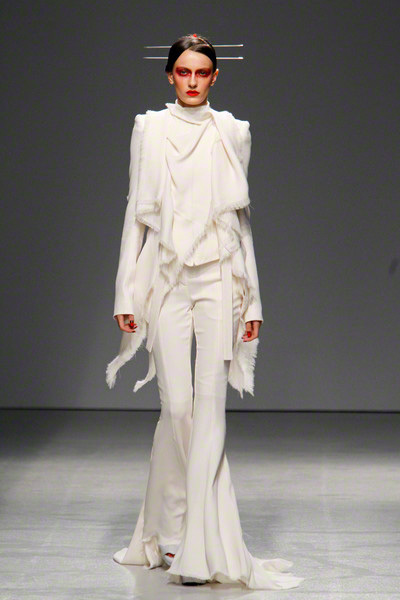 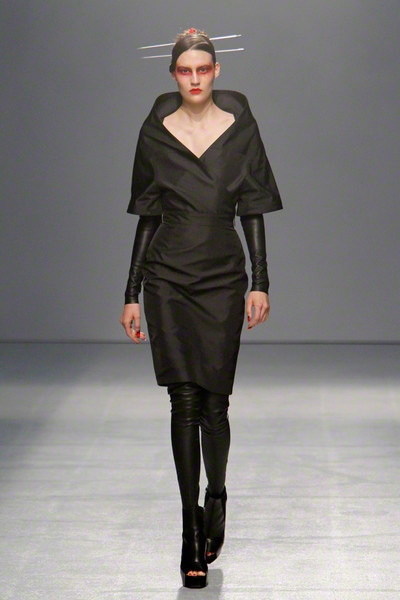 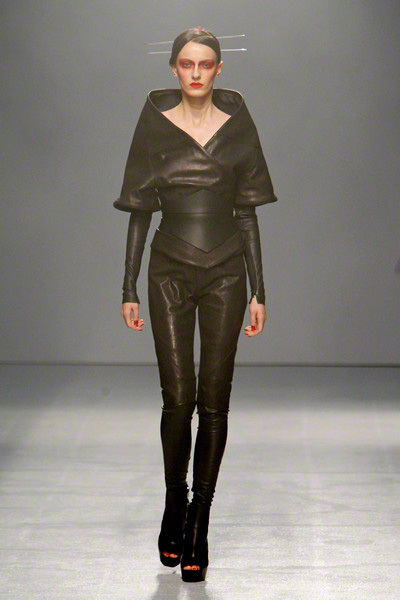 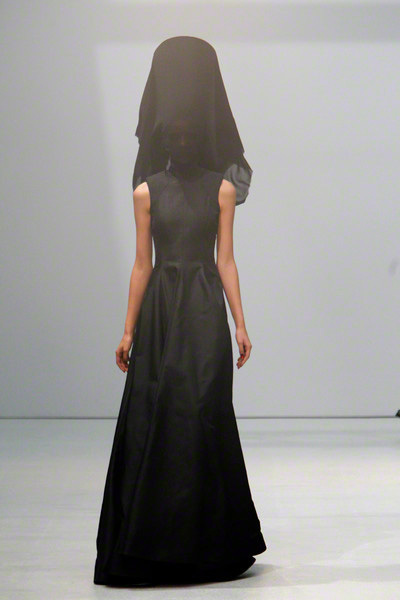 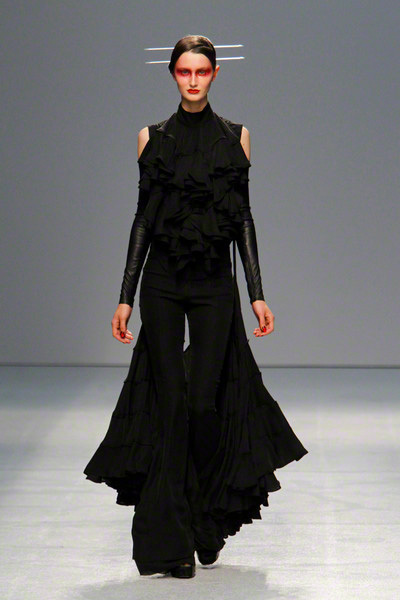 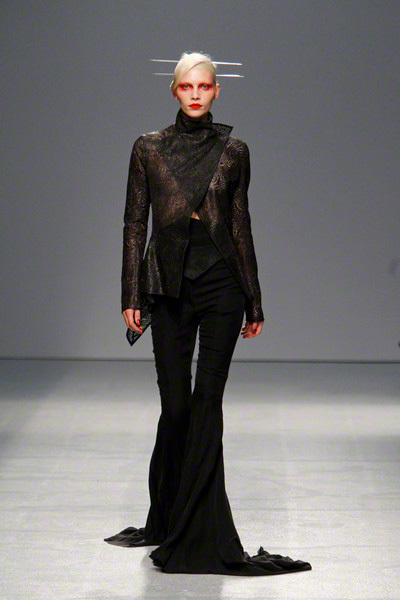 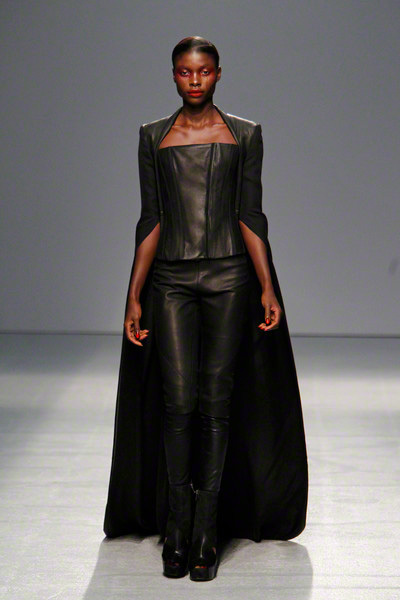 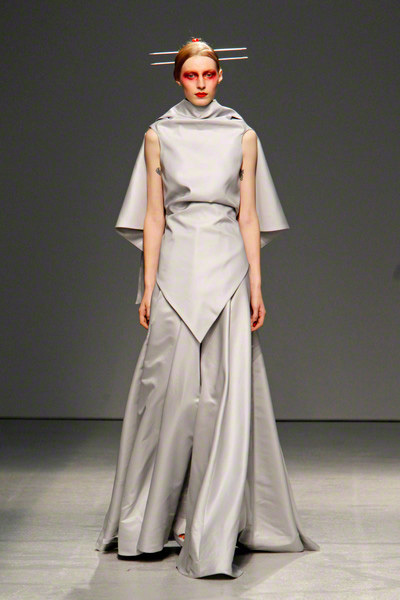 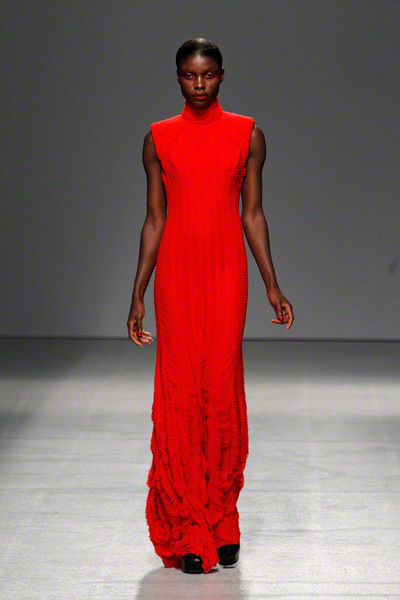 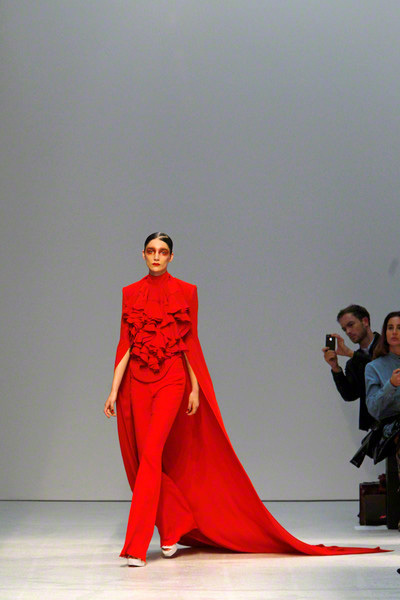 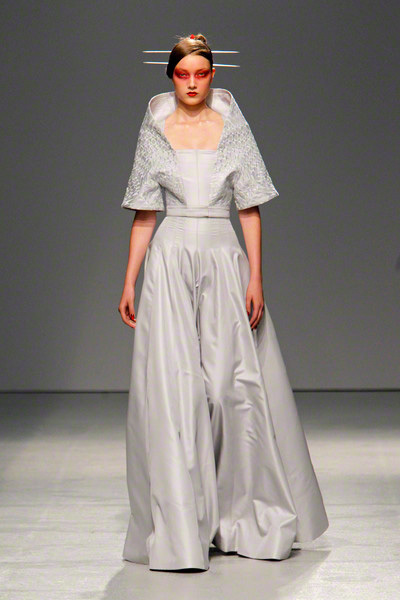 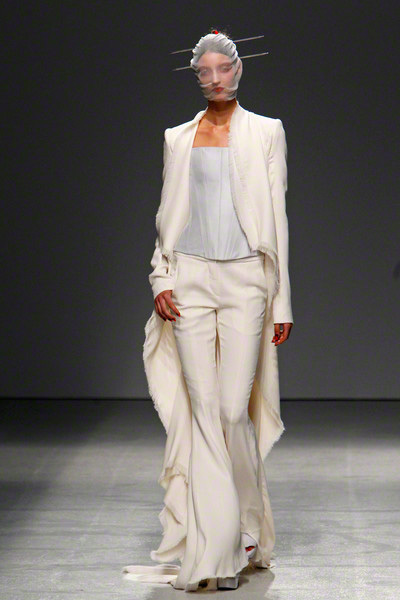 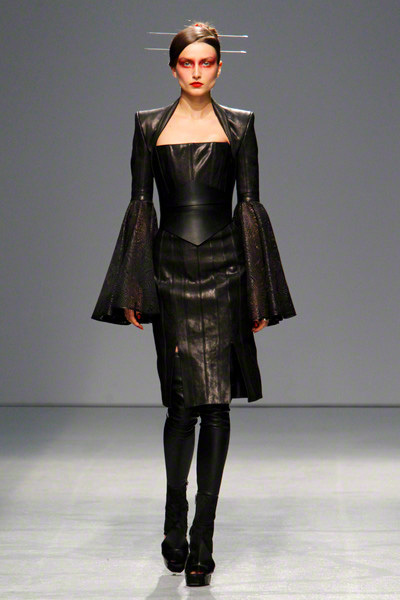 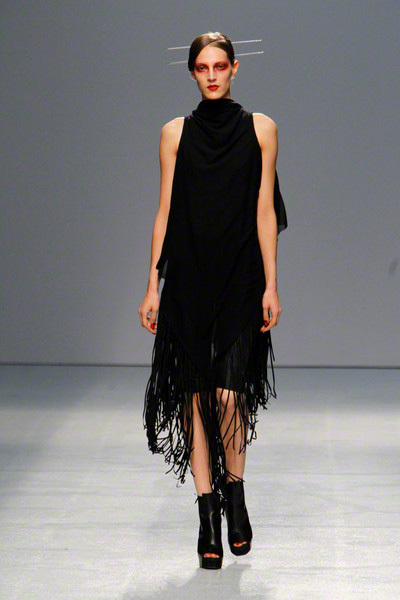 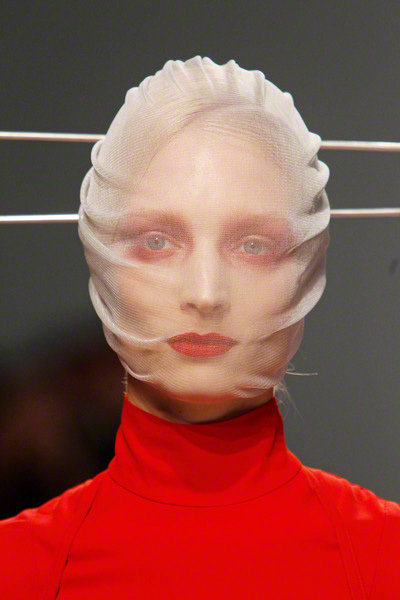 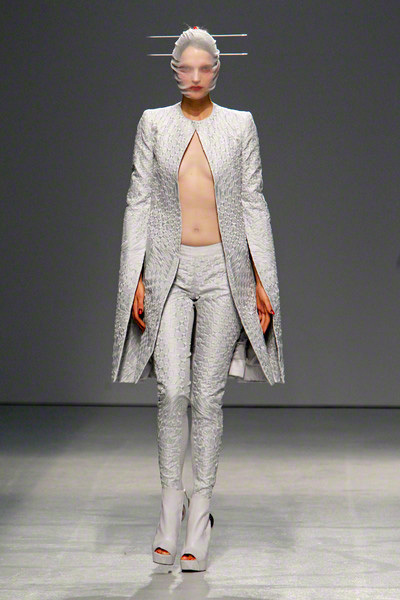 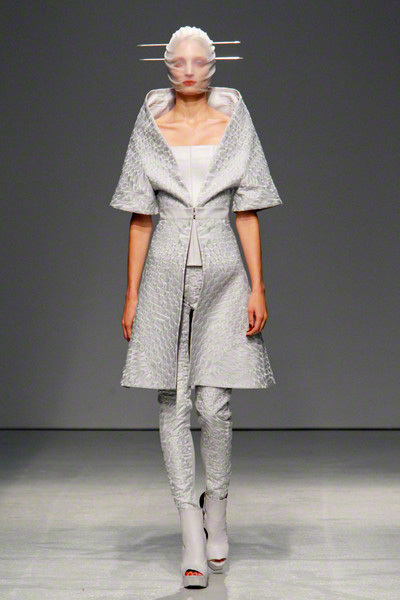 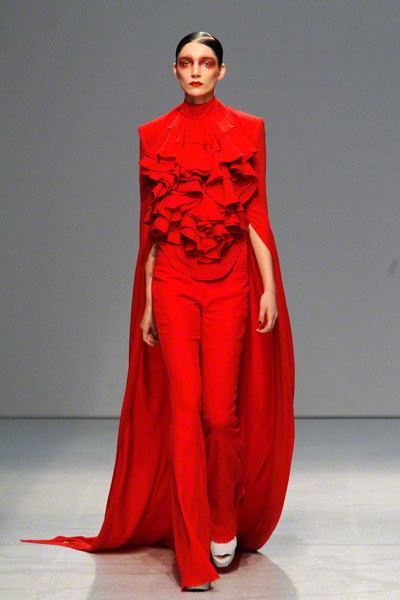 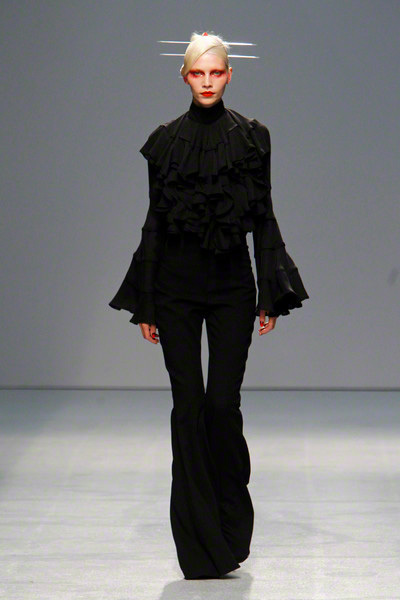 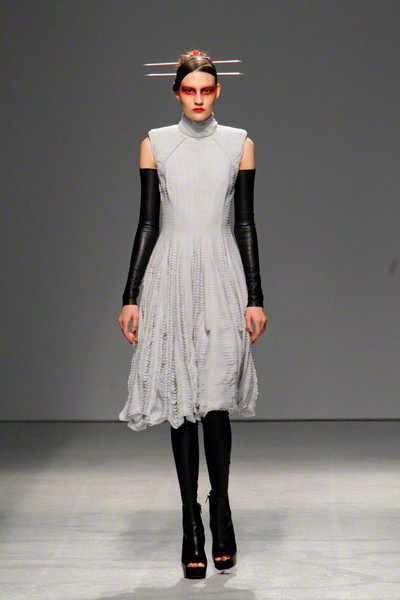 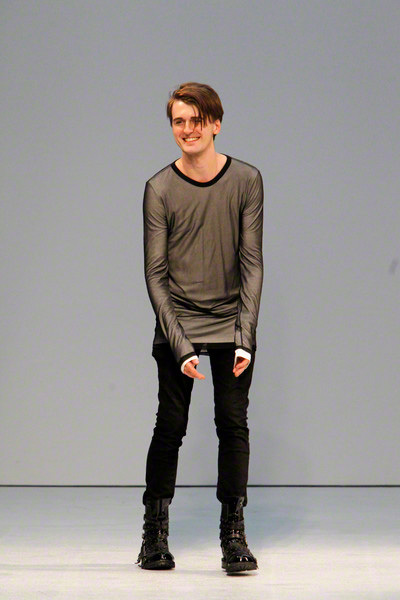 Gareth Pugh held strictly to his linear graphic style for his ss2013 collection, but this time it seemed softer, even more romantic than before. 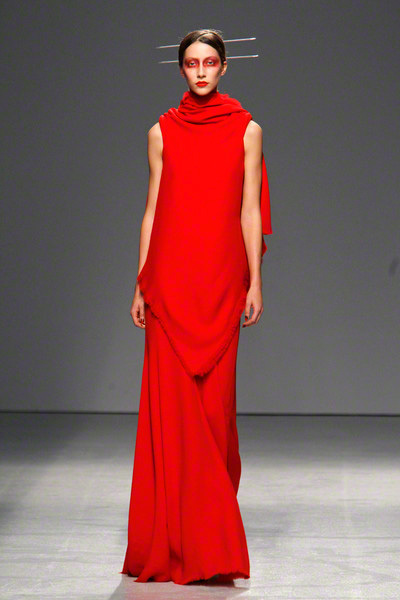 He even threw in scarlet red to change his palet of black, white and gray. 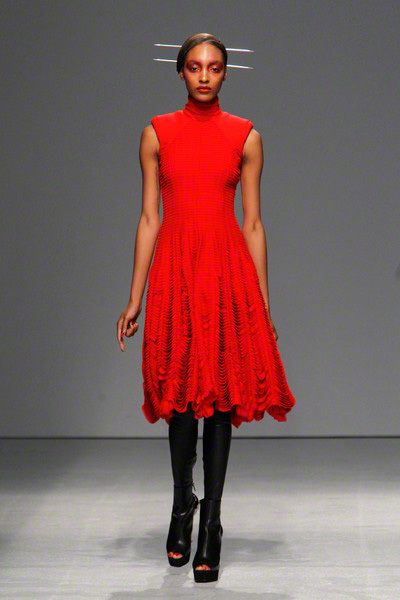 Pugh was inspired by cockfighting, which explained the bloodred, the long hems and extended train-like sleeves. 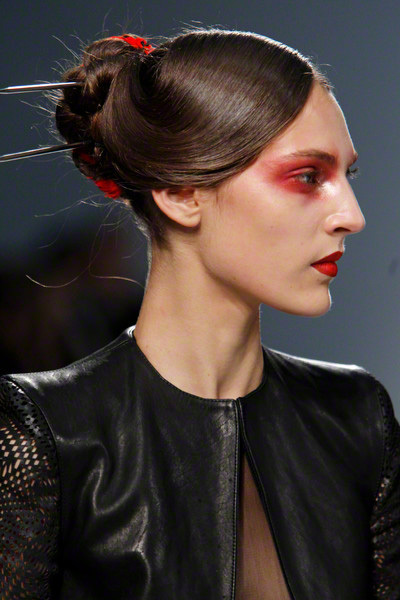 Plus the bloodred make-up. 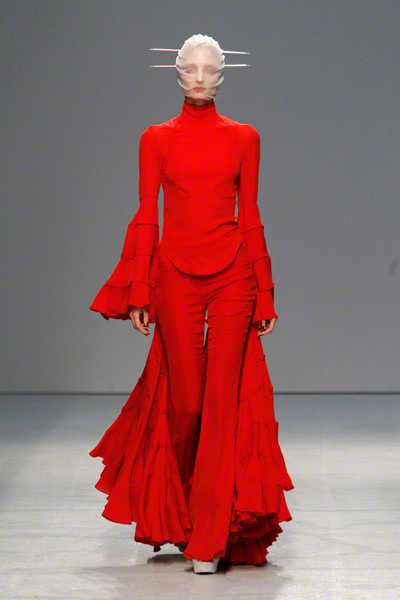 He also put in some flamenco-vibe and Japanese details.